I may be a little late with this post, but I wanted to give it some thought. I've never been very into New Years Revolutions because they feel sort of gimmicky to me. But goals...I love. I guess they're really not all that different technically, but goals can be short or long term, and don't have a renewal date of January 1st. I have to set goals to stay on track and to stay motivated. They propel me and make me a better person! I know I don't usually write much on here beyond style matters, but this year I'd like to dig a little deeper from time to time. I joined a gym last summer after graduating from college and have so enjoyed the workout classes there. I find that they push me so much more than I can push myself in my own workouts! I'm pretty good about going to at least 2 classes per week, but outside of the gym I haven't been good about being active the last couple of months. In the process of adopting a healthier lifestyle my goal is to be more active in general...even if that means walking outside or on a treadmill for 20-30 minutes or doing a Nike Training app workout at home. Something is so much better than nothing! I'm usually good about what I eat during the week. I eat a small healthy breakfast and mid-morning snack every day, and pack a lunch for work most days. This helps me control my portions and plan out what I'm going to eat for the day! However, on weekends I tend to lose sight of this goal. It's hard right now because Trey and I don't have our own place to cook in and keep food in, so we end up eating out a lot on the weekends. This makes me "splurge," which is fine, except that I've been splurging a little too much the last few months. It's time for me to make healthier choices when I eat out! I've got a lot on my plate right now... In addition to working full time in a new career, I'm also planning a wedding in 6-7 months, continuing my education online, oh...and running a blog. It's a lot to tackle and I feel like I have an endless and nearly impossible to-do list for the foreseeable future. Time management is going to be essential for me these next 6-8 months! And lots of to-do lists, encouragement, and deep breathing. Ahh. Have a positive attitude...through thick and thin. I used to be a very negative person, and I will openly admit this. It feels good to get it off my chest. However, I've gained so much perspective in the past couple of years and I feel like this has genuinely changed my life. While I can still be a brat and complain about insignificant things, or assume certain things won't go well, I've made big progress. One of my short and long-term goals to be a more positive person. To realize how blessed I am, that the insignificant problems of a bad day pale in comparison to battles others face on a daily basis, and that a positive outlook can change not only my day but others' days too. Graduating from college last year and entering adulthood and the career world has taught me a lot. One thing I've learned is that a lot of people are not kind. While I can't necessarily change those people, I can use them as fuel to be the best person I can be! Smiling, complimenting people, helping someone out, giving gifts, random acts of kindness and paying it forward...and so much more. Ultimately, I want to be a kind and loving person! A role model to girls younger than me, a good friend, and loving wife. Let's all be kind, yes? As some of you know, I've been living back at home with my parents since May. While I do pay them rent, I'm still saving lots of money on living expenses this year. I've been taking advantage of this by putting a set amount of money in savings from each paycheck. It's hard to do, but I've already watched it pay off so much since last July! With the wedding coming up this July and big-kid things approaching like getting a place together, I'm feeling even more motivated to save. I'm planning to up my set savings amount each month, and to also put away every extra dollar I have. I know it will pay off so so much! I guess since I'm a blogger and all, and that's why you're here, that I should share a few blogging goals! Goal A is to do a blog makeover. I've been working with a fabulous, talented graphic designer friend to revamp this space, and can't wait to get it all rolled in. Teaser alert: my blog name and URL will be changing too, which is much needed! Goal B is further identify my personal sense of style. I feel like my style has already changed a lot since I started my blog 2 years ago, and in that time I've developed a much stronger style identity. Goal C is to connect a little more. To let you all into my life more, and to get to know all of you more! Goal D is to continue to show that having a lot of money and living in the fashion capital of the world are not essentials to having personal style that you love! I've really enjoyed my remix series because it pushes me to wear what I already own in multiple ways, and to be content with what I have. And hopefully I will continue to demonstrate all of this. I've been blogging for two years now, and still absolutely love it. 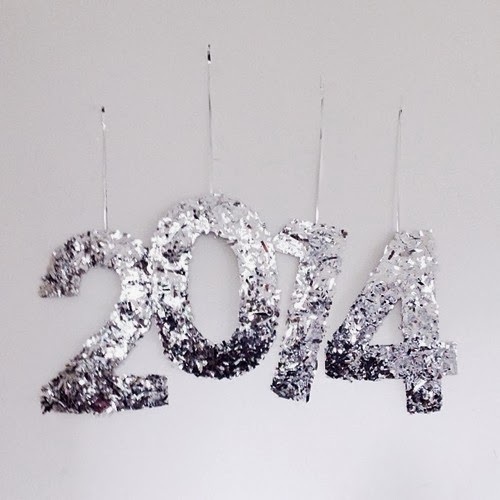 I know 2014 will be wonderful! Great goals! Can't wait to see the new blog! I loved reading this and I am so excited for you. I don't know if it's creepy but I almost feel like we know each other. The blogging community is the best :) I cannot wait to see the new blog. Love this, Jacy! I can't wait to see what you have in store for your re-design. I'm sure it will be amazing! These are amazing goals and resolutions! Go girl! I'm with #1, too! My gym membership has been neglected lately!